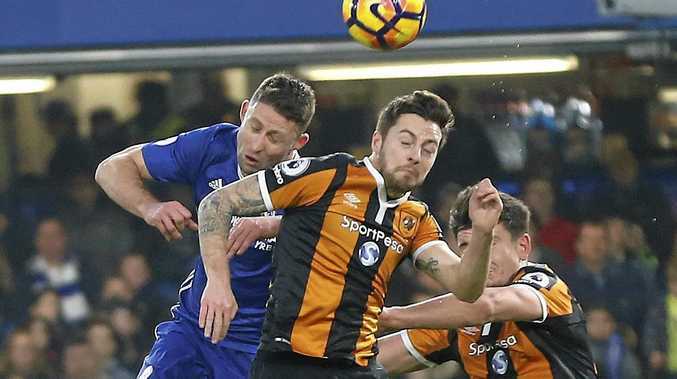 FOOTBALL: Hull City have confirmed midfielder Ryan Mason has suffered a skull fracture after a sickening collision in the club's Premier League clash with Chelsea. Amidst serious concerns from the football community, the club have confirmed he is in a "stable condition" at London's St Mary's Hospital, which specialises in acute trauma injuries. "The club can confirm that Ryan Mason sustained a skull fracture in our fixture at Chelsea this afternoon," a Hull media release said. "He was taken to St Mary's Hospital where he has undergone surgery. "Everyone at the club would like to express their sincere thanks for the excellent and swift care given to Ryan by both the Accident and Emergency department and Neurosurgery Unit at St Mary's Hospital." Some UK newspapers had reported the midfielder, signed from Tottenham this season, was "fighting for his life" and had also suffered bleeding on brain from the sickening blow. It has also been reported that he has undergone emergency neuro surgery. Mason and Chelsea defender Gary Cahill collided in Hull's penalty area 14 minutes into the game which Hull lost 2-0. Mason received treatment for more than six minutes on the field before departing on a stretcher, while receiving oxygen. There were nine minutes of stoppage time at the end of the first-half.